It’s not easy keeping up with every new term in the lexicon of today’s youth — I felt old just writing that — but thankfully, there’s a new app to help you make sense of all the slang you hear on the streets and on the Web — with videos. SayWhat for Android and iOS lets you look up what a word means in 10-second videos which are contributed by its community. You can either search for a term or browse through the feed of recently uploaded definitions. Just like on Urban Dictionary, you can vote on community contributed definitions so the one with the highest score is displayed at the top. If you like a user’s style of explaining terms you can nominate them to define new ones that haven’t been covered yet. 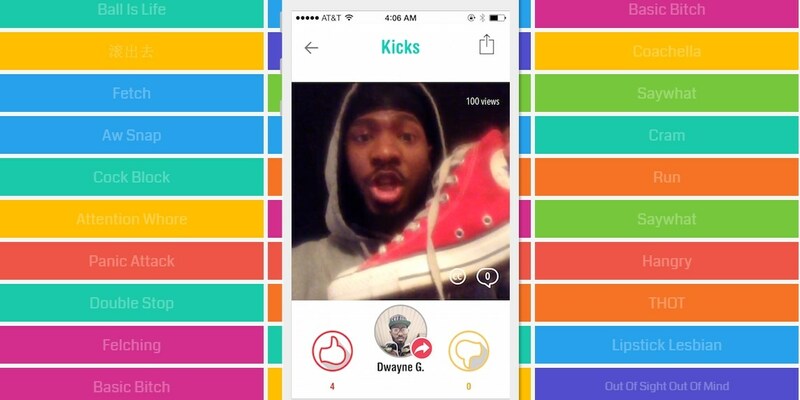 Creating your own definitions on SayWhat works similar to Vine, where you hold down on the screen to record your clip. You can also look up slang in Spanish or Mandarin when you visit places where those languages are spoken. As of now, you can choose to create definitions for terms that are already on SayWhat’s roster or respond to nominations sent by friends and other users. It looks like you can’t yet add your own terms to the app. SayWhat’s definitions are fun to watch and the app presents an interesting challenge to folks who enjoy creating short videos with their phones. If you don’t care for the mobile apps, you can look up terms on SayWhat’s site.